Puma has produced a number of good running shoes in the past. However, they have some new designs and perhaps more importantly, a new cushioning system in the works. Can this make the German brand stand out in the crowded local running market? Throughout the December holidays I put the Puma Hybrid Runner to the test in a number of 10k-ish runs. Why this is called the Hybrid Runner is the inclusion of two of Puma’s technologies - NRGY beads and IGNITE foam. The beads are set to provide proper cushioning and combines with the foam to provide energy return. But before talking about substance, let’s chat about style. f there’s one thing that you can’t fault Puma on it’s style. The Puma Hybrid Runner is a smart looking shoe and will attract a few stares at the starting line, in the gym, as well as in the mall. There are a number of small touches that put these kicks on the next level. 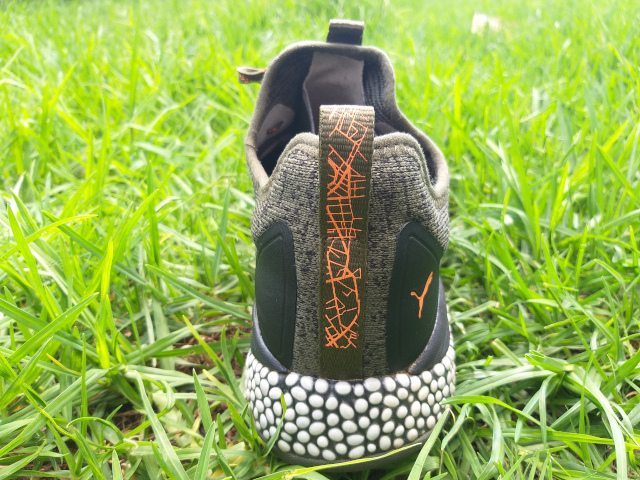 The scribbled pull tab that helps you to easily slip on the shoe; one nine four eight (the date Puma was started) incorporated on the side; the Puma logo on the front pull tab and some specially coloured laces. All these combine to offer a well thought out shoe that’s not gaudy but certainly not reserved. There’s also colour variation on the knitted uppers on different models. I tested the Hybrid Runner Unrest, which brings spots of black along the darker green, with touches of orange along the colourway. Talking of which, this is the first pair of shoes I’ve tested that had knitted uppers. The tongue is incorporated with the upper so the shoe works more like a sock when you put these on, while they are very comfortable to wear. The uppers are enforced around the heel and a bit around the bridge of the foot. Initially the stretchiness of the knit left me slightly concerned since it might come at the expense of stability. This was not the case on the road, where it felt like exactly the right amount of stretch to keep the foot intact if you lace it properly. Having said that, I would not be confident to recommend the Runner Hybrid if you also incorporate a few trail runs in your schedule. The added stretch might just allow a few more strains to occur, plus the sole isn’t exactly rough and ready. The thread of the sole doesn’t run extremely deep, which could be concerning for the longevity of these over many a mile. As they say, the proof is in the pudding, and running shoes are supposed to show their worth on the road. That indeed seems to be the case, with the Hybrid Runner offering a more ‘bouncy’ run. If you are used to more flat runners, you will pick up a certain springy-ness when you hit the road and on release of your stride. Does this mean a direct improvement on your personal best? Not necessarily, but I can imagine the Hybrid Runner helping as you get fitter. The midsole covers the whole foot and I didn’t experience any hotspots where it felt like the foot protrude. 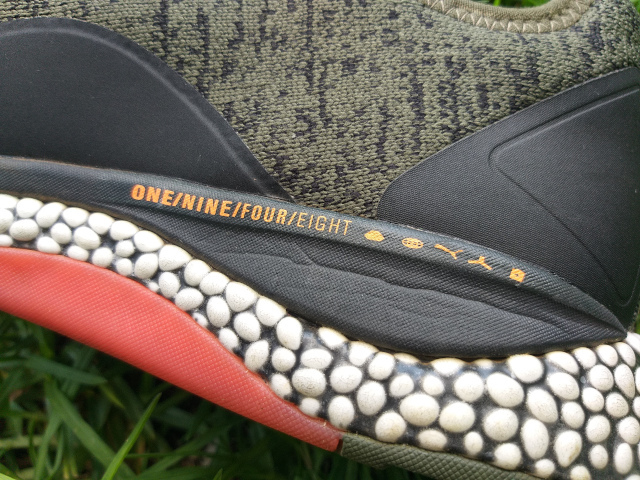 If there was one thing that could be seen as a bother, it’s the connection between the insole and the heel. There’s a little ridge that sits right at the bottom of the heel and although it didn’t scrape it does become noticeable during runs. 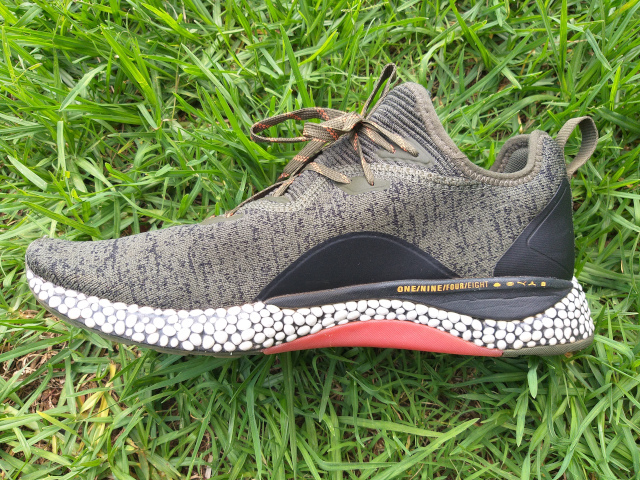 The Hybrid Runner will not be the last pair from Puma we’ll see with the NRGY beads and IGNITE foam combo – it provides a certain amount of bounce that's simply not present on the company’s other shoes. Are the Puma Hybrid Runners your new marathon shoes? Most likely not since on 42 km you would need more support. Training and running 10 km and 21 km. Yes, definitely. If you like your running shoes stylish and comfortable, the Hybrid Runner is a good bet. Officially the Puma Hybrid Runner retails for R2k, but can be found for cheaper online. FULL DISCLOSURE: The review was done on shoes provided by Puma on a permanent basis.